This officially licensed garment is a must have possession for all the true fans of Star Wars. This trendy Star Wars Chewbacca T-shirt is ideal for gifting purpose. The most excellent quality environmentally friendly printing industry standard ink is used to print the logo. Printed using the latest and best digital print technology. Available in numerous sizes (S, M, L, XL). If you do not have this T-shirt then, you have missed out on a major collection from the Star Wars series. Wear this fashionable Star Wars T-shirt Chewbacca and impress your loved ones!!! 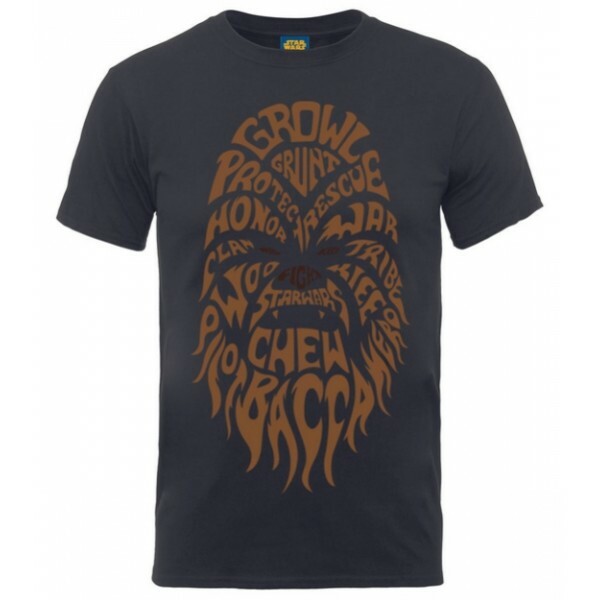 Si vous choisissez de recevoir votre "T-Shirt Chewbacca Text Head" via Lettre Suivi, les frais de ports seront seulement de 2,95 € ! Votre T-Shirt Chewbacca Text Head - Star Wars est en stock !